This is such a fun experience for them! Their seats are usually REALLY close to the field, behind home plate. But, one of the things that they love about this experience is the delicious food that is included. You know the food must be pretty good when your husband is on a guys outing, that includes sports, one of his all-time top 3 sports, watching his FAVORITE pro baseball team, with all-you-can-drink beer……and the picture he texts me is of the food! 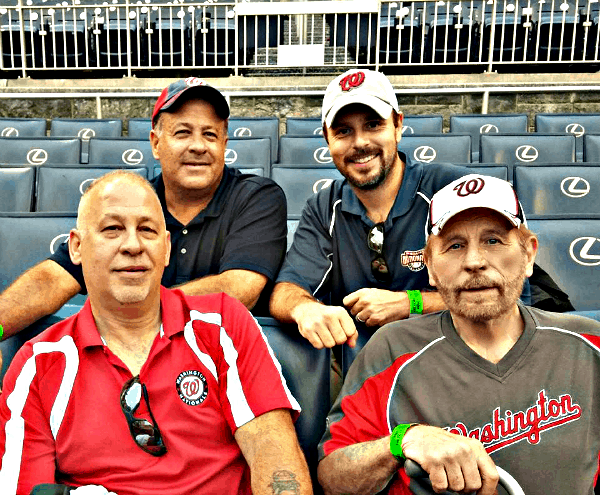 When Kenny returned home, he raved about one particular entrée he ate at the game. 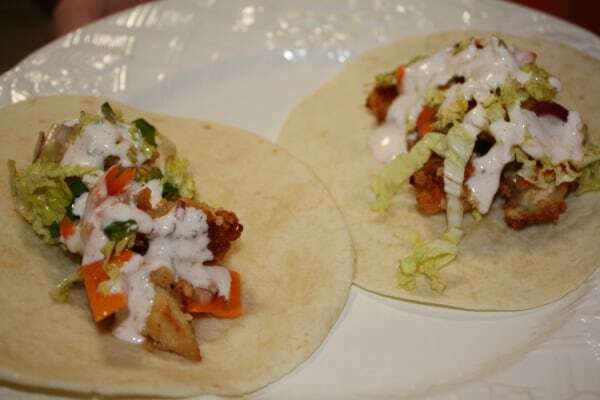 You guessed it – it was the fried chicken tacos. He loved it so much that he was compelled to replicate it for me and the kids. Big problem though – he didn’t have the recipe. 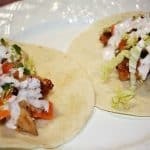 So, he went online, on a mission to find this particular recipe for fried chicken tacos! Unbelievably, he was able to find what he thinks is the same recipe for what he ate at the game. He found it on The Washingtonian’s website, and it originates from a Boston-based chef named Michael Schlow. He has recently opened up a restaurant in D.C. called Tico! 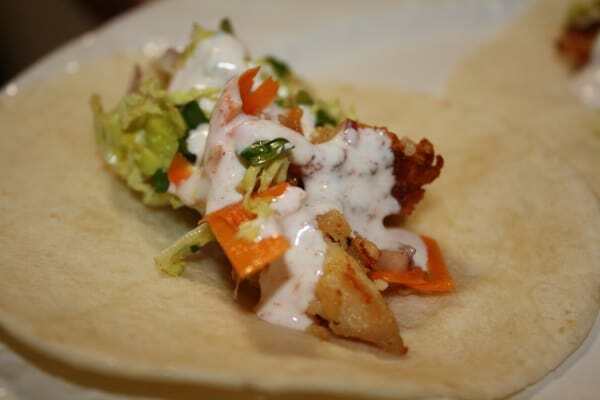 So, without further ado, I give you Fried Chicken Tacos with Fennel Slaw and Spicy Buttermilk! Combine buttermilk, cayenne, salt, pepper in a bowl, place chicken in the mixture, and soak for 2 to 12 hours, depending on how much time you have. The longer it soaks, the more tender and flavorful it will be. When you’re ready to fry, set a heavy pot on the stove and heat oil until a thermometer registers 375 degrees. Combine flour, cornstarch, and panko in another bowl. Remove chicken from buttermilk and place in flour mix; coat evenly. Place chicken strips in fryer and cook until golden brown, about 5 to 6 minutes. 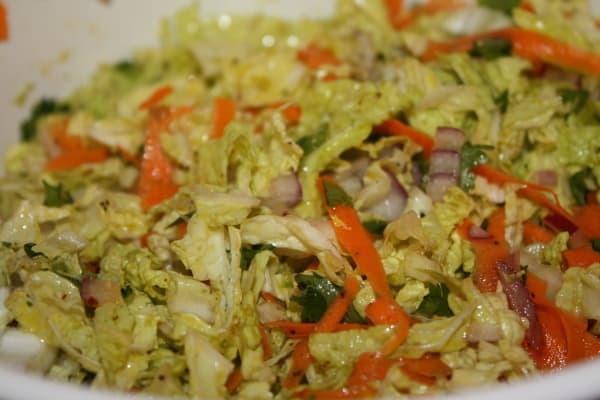 Combine all Fennel Slaw ingredients in a bowl and marinate for 1 to 2 hours in the refrigerator. 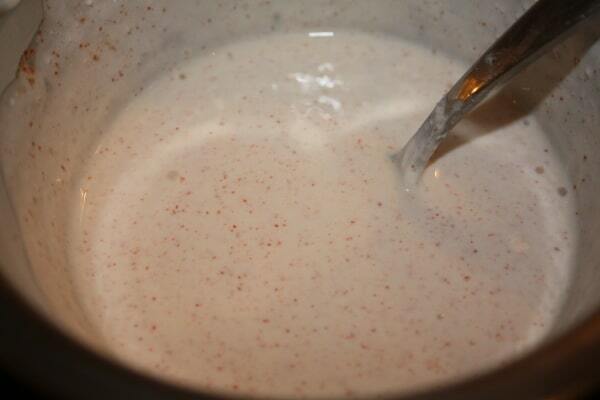 Combine all Buttermilk Dressing ingredients in a bowl and mix until smooth. Char tortillas lightly on an open grill or griddle over high heat. Cut the crispy fried chicken into small pieces and divide evenly on the tortillas. Top with the fennel slaw, and spoon the buttermilk dressing on top. Garnish with cilantro leaves and lime wedges (optional). The recipe states that it makes 4 tacos, so plan accordingly. Although it’s Fall, we are still having some warm weather right now. And, with the Nationals now in their 2014 postseason run, I think it’s more than appropriate to make this recipe! Who knows – maybe it will bring them good luck! Dig in, and go Nats!! Awe, what a great write-up!! And what a great picture of the “boys! 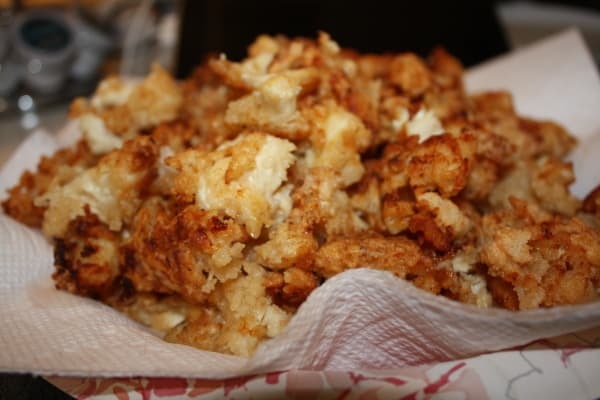 !” Now for the recipe, I am drooling; I have to try and make this although it looks “labor intensive!” Good job Kenneth!! YUM!!!!! Thank you Cheryl! I know – I love that picture  OMG, it is SO good but you’re right – pretty involved. As I posted this recipe I realized how much work Kenny did to make it!